Sour Diesel Medical Marijuana seeds are one of the most popular and sought after strains online. A highly awarded winner of countless ‘Expo’s and Cannabis Cup’s, known for its unique, intense flavor and relaxing high. 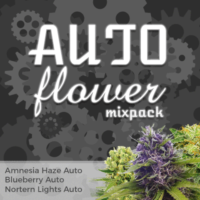 A versatile, easy to grow strain compromising of 60% Sativa and 40% Indica genes, blended to produce a vibrant, vigorous hybrid Marijuana plant, with the best of both Sativa and Indica characteristics. Grown indoors, Sour Diesel seeds are perfect for Screen-of-Green (SCROG) growing and super cropping techniques, stretching during the first few weeks of flowering, producing plants between 70 cm – 250 cm tall. Although these extreme heights are only achieved when the seeds are grown outdoors with a lengthy vegetative period. The Chemdawg, Northern Lights and Skunk heritage produce heavy, dense buds, with a light green colour and unique, lemon-diesel fuel aroma. 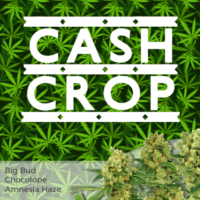 Flowering requires approximately 68 days for the plants to fully mature and reach their optimum, with harvests of 450-650 grams of dried, high quality buds easily achievable per square metre, with better conditions producing larger yields. Sour Diesel seeds are highly prized, with the Cannabis often commanding some of the highest prices due to it’s ‘moorish’ aroma and flavor. THC levels are high, around 18%, producing a very sociable high that’s both talkative and outgoing. 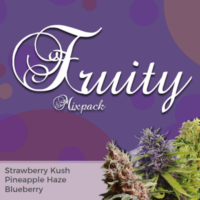 A highly popular strain with both recreational and medicinal growers, famed for it’s unusual flavor and distinctive aroma. 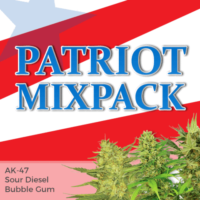 A straight-forward and easy to grow Marijuana plant for all but complete beginners, with a low leaf to bud ratio making manicuring quick and easy, with the trim coated in resin and highly recommended for making edibles from. Sour Diesel seeds are a perfect choice for the indoor Cannabis grower. Strong, vibrant plants with large, aromatic buds, heavy harvests and great ‘bag-appeal’. With limited experience and knowledge, even novice growers can produce heavy, high quality harvests. 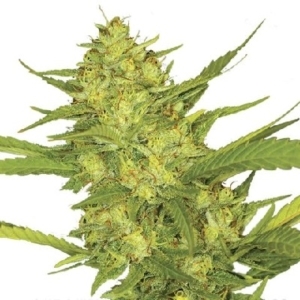 You can purchase these seeds from I Love Growing Marijuana seedbank, available in packs of 5, 10 and 20 feminized seeds, all guaranteed by Robert Bergman himself. Fast acting Sativa produces a dreamy, energising feeling that’s very relaxing, creative and sociable. It’s unique, unmistakable flavour is similar to a strong lemon and diesel fuel aroma, that can leaving you licking your lips for more. Highly recommended all-round smoke, great for day or night use. Sour Diesel seeds produce tall, Sativa-shaped plants that are capable of producing very good yields in under nine weeks. The dominant Sativa genes can cause the plant to stretch during the first few weeks of flowering, which can easily be compensated for by reducing the vegetative period slightly. Sour Diesel feminized provides long-lasting, natural pain relief and with it’s calming, relaxing effects, can help lift stress, anxiety and depression. Known for inducing the ‘munchies’ increasing the appetite.